Republican prospects may have improved with the late filers. Ten individuals filed, including realtor Leigh Brown, a candidate who could draw strong support from the business community. 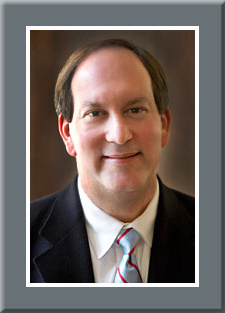 A leading contender is state Sen. Dan Bishop (R-Charlotte), who was the author of the infamous “bathroom bill” that dealt with transgender access to public restrooms. With that issue transforming itself into a national controversy during the 2017-18 period, the aftermath may leave the Republicans vulnerable in the general election if Sen. Bishop were to become the party nominee. Union County Commissioner Stony Rushing carries the endorsement of 2018 nominee Mark Harris who chose not to compete in the special, largely because the voter fraud accusations have damaged him to the point of making him unelectable. Former state senator Fern Shubert and ex-Mecklenburg County commissioner Matt Ridenhour are also in the race, but the former has now lost several consecutive races and the latter man was unseated in November. It appears the May 14 special primary will be a wild affair on the Republican side, with the top two finishers likely advancing to a Sept. 10 runoff election. The runoff occurs if no candidate receives 30 percent of the vote. As stated previously, the special general is scheduled toward the end of the year on Nov. 5. The 9th District begins in the city of Charlotte and continues southeast along the South Carolina border before turning northward to end in the Fayetteville suburbs. The district contains all of Union, Robeson, Richmond, Scotland, and Anson Counties. It captures part of Mecklenburg, Cumberland, and Bladen Counties, the latter of which is the site of the voter fraud accusations.